La Aroma de Cuba Noblesse – I had my reservations about a La Aroma cigar that retails for nearly $20, but once I smoked it, I got it! The Ecuadorian Habano wrapper is obviously well aged, as this cigar is complex and medium bodied. La Antiguedad – Another cigar from My Father, the La Antiguedad is the follow up to the 2012 Cigar of the Year, Flor de Las Antillas. It shares some similarities, as both cigars are box pressed and Nicaraguan puros, but the La Antiguedad is fuller bodied and spicier, with much more of the pepper kick that the Garcia family is known for. Aging Room M20 ffortissimo – This cigar was extremely limited (only 20,000 total) and priced at $15 for a corona sized perfecto. For those who love aged tobacco and the rich flavors of a high quality San Andres maduro wrapper, the M20 certainly lived up to its hefty retail price. Fernando Leon Preferido – La Aurora released both the Guillermo Leon and Fernando Leon in their popular Preferido size this year. While both are great, I loved the Fernando Leon’s medium bodied flavor and depth. The Corojo wrapper on this cigar is flawless and oily. This cigar quickly became my favorite of a great La Aurora lineup. Montecristo Espada – One of the trends of 2014 was the release of several Nicaraguan versions of storied Cuban legacy brands. The best of the bunch, in my opinon, is the Espada. Altadis USA partnered with the Plasencia family to create a Nicaraguan puro that is worthy of the Montecristo name. Flawless construction and a great balance of sweetness are two reasons why. Best Buy for 2014 – Foundry Elements Carbon – Taking an idea from the Cigar Aficionado list, I decided to nominate a Best Buy cigar. The Carbon, a chunky 5.5x60 maduro cigar, has become one of our best sellers. It’s not only friendly on the wallet – the Carbon is firmly packed with tobacco and has a pleasant medium-bodied profile. With the exception of one or two sold out limited editions, all of these cigars are available at Lit. 10. La Flor Dominicana Capitulo II – The follow-up to Tony Gomez’ debut cigar, the Capitulo II has the same size and box pressed chisel shape as the Chapter I, but these cigars are night and day. Capitulo II is super strong, with a dark oily wrapper and an easy draw. It’s sometimes dangerous to have a cigar this full bodied draw so easily! I like to smoke it slowly, over 2-3 hours so as not to be overpowered. The flavors are great though – strong notes of leather and pepper. 9. 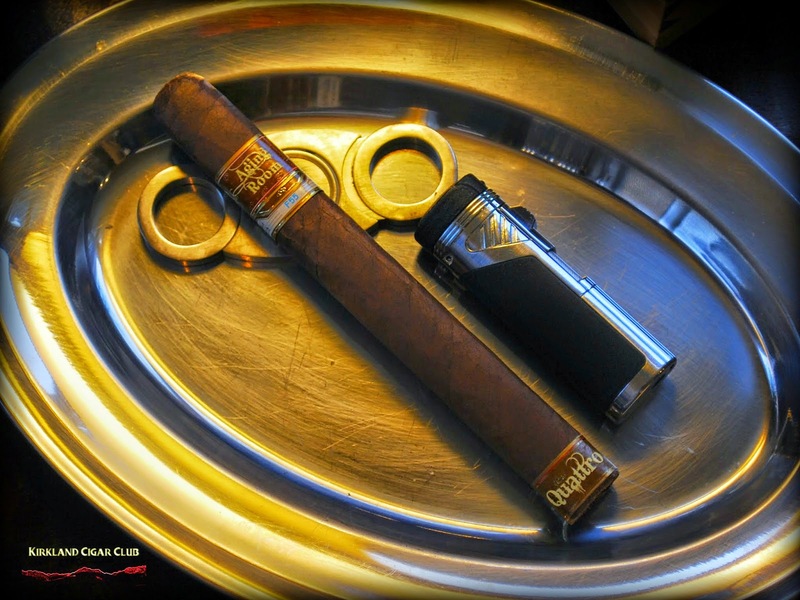 Illusione Singulare 2014 Anunnaki – The fifth release in Illusione’s Singulare series, the Anunnaki is a stout 5 1/4x54 Double Robusto that is just packed with tobacco and features the same silky wrapper as their wonderful Epernay line. I was blown away by the construction on this cigar and by how slowly it burned. It’s mild to medium bodied with some delicate fruit and floral notes. 8. Nestor Miranda Collection Habano – Miami Cigar & Co. reblended and rebranded their flagship Nestor Miranda line in honor of the company’s 25th Anniversary. Produced in Nicaragua by My Father Cigars, there are three different blends – Maduro, Habano, and Connecticut. The Habano stands out for me, delivering that signature Pepin spice without sacrificing complexity. Kudos to Nestor and Jason Wood at Miami Cigar for taking the risk to improve upon an already established brand. 7. Drew Estate Nica Rustica – Technically released in 2013, these cigars were such a hot commodity that we didn’t receive our initial order until after the 2013 list was compiled. For shops, like ours, that aren’t eligible to carry Drew Estate’s more prestigious Liga Privada or Herrera Esteli lines, the Nica Rustica is an able substitute. It carries an affordable price tag and produces an insane amount of thick blue smoke. The dark Connecticut Broadleaf wrapper and strong filler blend of Nicaraguan tobaccos give this cigar a great balance of maduro sweetness and spice. 6. Leccia Luchador – Another full bodied Maduro, this time from Sam Leccia, whose fire-cured Leccia Black made our list last year. The Luchador honors the origins of the San Andres wrapper that it features, with a unique band that pays tribute to the masked Luchador wrestlers that are so popular in Mexico. This cigar hits you like a dropkick to the solar plexus, but is as complex and intricate as a figure four leg lock! 5. Rocky Patel Decade Cameroon – It’s sometimes hard to figure out which new Rocky Patel release to bring in, since they usually have about five new cigars each year and our space is limited. This year, however, the choice was easy. Rocky took his popular Decade blend, the highest rated cigar he’s ever produced, and wrapped it in a delicate, sweet Cameroon wrapper. The result is a cigar that is extremely flavorful without a lot of strength. 4. EP Carrillo La Historia – Ernesto Perez-Carrillo is most known for his big ring gauge cigars, such as the Serie R he created with La Gloria Cubana, and most recently the INCH series. This cigar is unlike anything he’s ever done, softly filled and box pressed and wrapped in a dark, bumpy San Andres Maduro wrapper. It’s medium to full bodied, with an effortless draw and notes of dark chocolate and espresso. 3. CAO Amazon Basin – Easily one of the most unique cigars released this year, the Amazon Basin uses a tobacco called Bragança, which is grown organically in the tropical rainforest and harvested every three years by the natives of that region. It has a flavor that’s hard to describe, but bold and delightful. Sadly, these cigars are long sold out, but hopefully we’ll see another release at some point. 2. Padron Family Reserve 50 year – The cigar world was blown away by the Padron Family’s 45th Anniversary cigar, and remains one of the best on the market. The 50 year is a different cigar than that one – it’s smaller, more of a robusto size, and the wrapper is nearly jet black and oily. The Padron 50 year is generously filled and is a spicy, full bodied gem of a cigar. It’s by far the most expensive cigar on this list, but worthy of trying, even if you have to wait for a special occasion. 1. 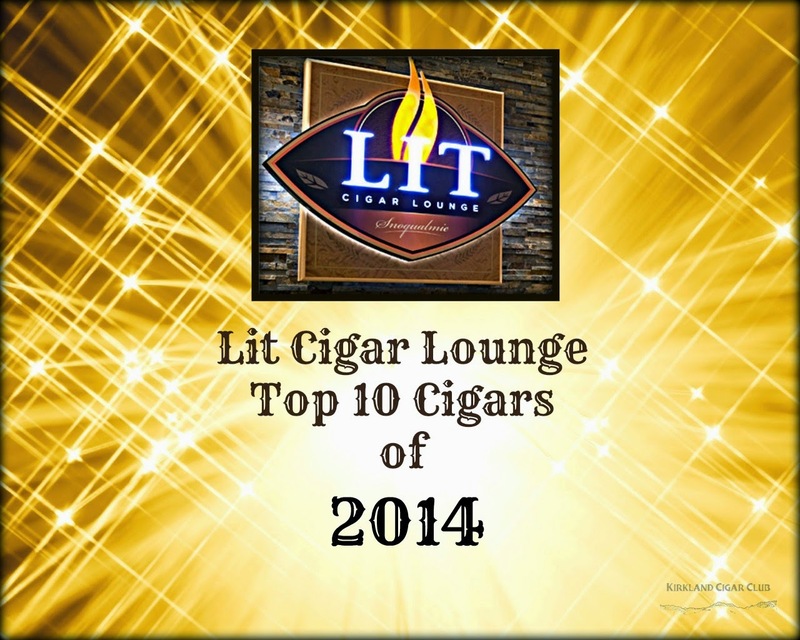 Our cigar of the year for 2014 is the Ashton Symmetry. 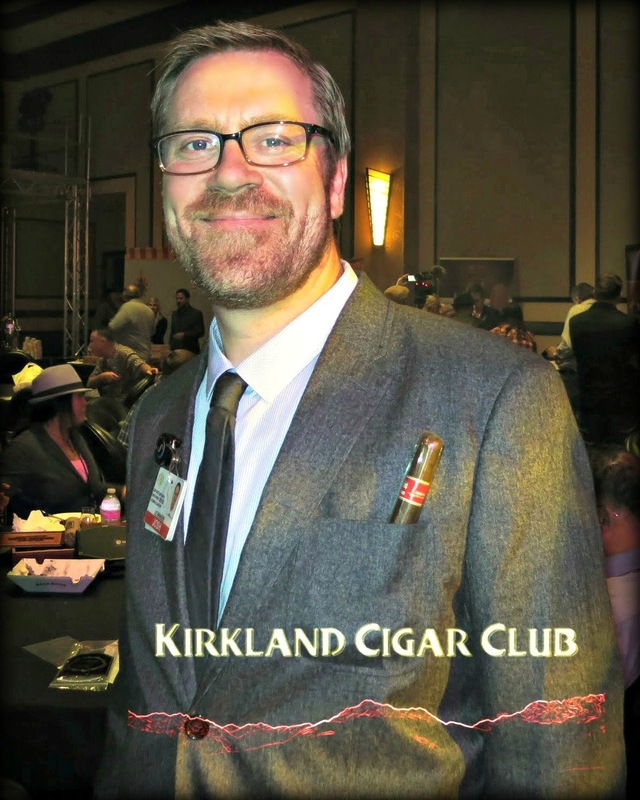 I was excited when I heard that Ashton was releasing its first new blend in ten years, but wasn’t quite sure where a new Ashton cigar would fit in their already formidable lineup. They have mild, medium and full bodied blends, all of them fantastic in their own right. The flavor profile of the Symmetry fits somewhere between the VSG and ESG in this regard. It’s medium to full bodied, but the flavors are nuanced and balanced. Carlito Fuente uses an Ecuador Habano wrapper along with filler tobacco from his farm in Nicaragua, both a first for an Ashton cigar. The delicate notes remind me of an aged Cuban, but the Symmetry also contains a nice healthy kick of spice and nicotine. We’ve had the Ashton Symmetry at Lit for just a couple months, but it’s obvious that this cigar has a place in our humidor for a long time. Thanks for reading another “Best of…” list! 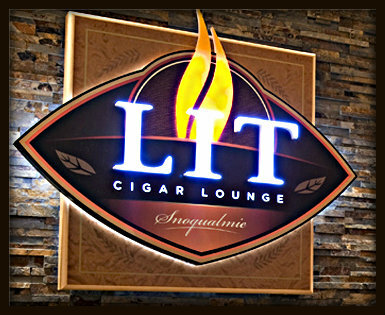 I invite you to come out to the Lit Cigar Lounge at Snoqualmie Casino to try these or any of our cigars and we can discuss in person! 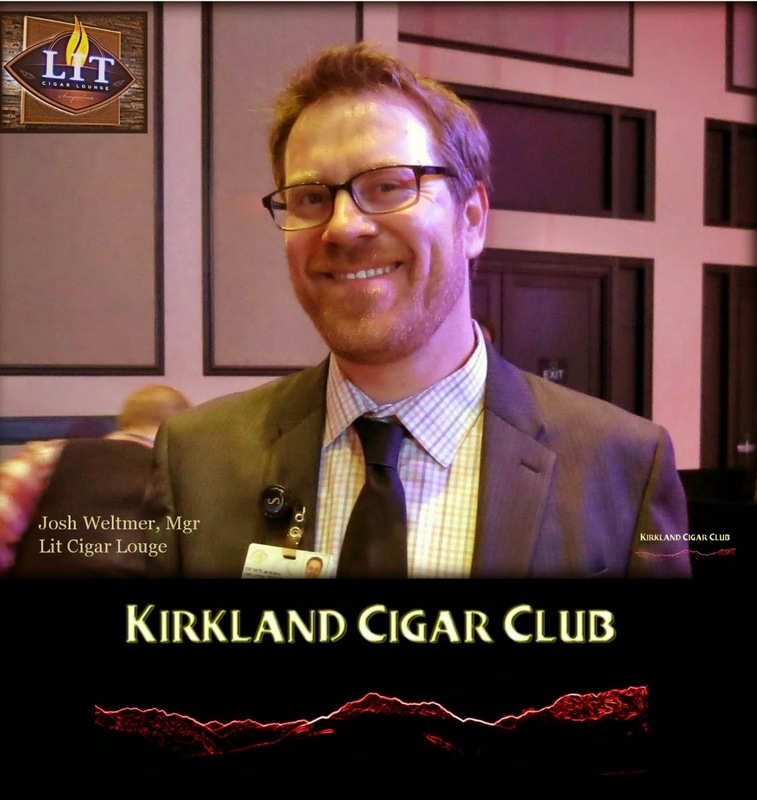 Lit Cigar Lounge - Holiday Event This Thursday! Join us this Thursday, December 18 in Lit from 6-8pm as we hold our 5th Annual Holiday event with our good friends from Brown-Forman and Drew Estate. Jon Stave from Brown-Forman will be on hand with his usual grab bag of white elephant gifts. You may win something great or fall victim to some fun Holiday shenanigans! 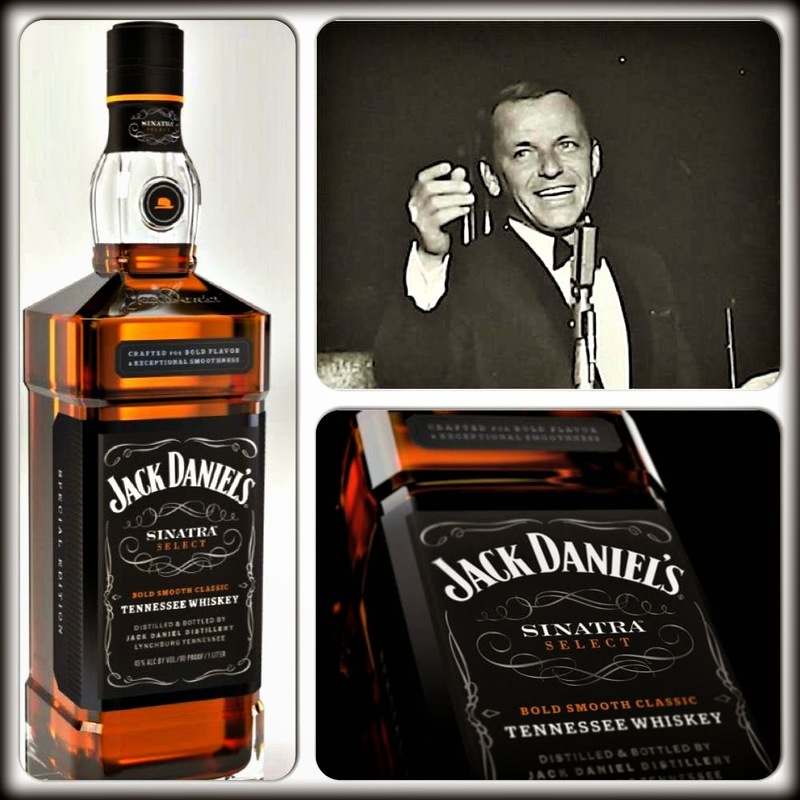 We'll have some great drink specials, including a flight of rare whiskies from 2014, including the brand new Jack Daniel's Sinatra Select, and the Woodford Reserve Master's Collection. This year, the Master's Collection whiskey is finished in Sonoma-Cutrer Pinot Noir barrels! In addition, we will have Alex from Drew Estate on hand with some great deals on all Drew Estate and Joya de Nicaragua cigars. We hope to see you for our last event of the year! 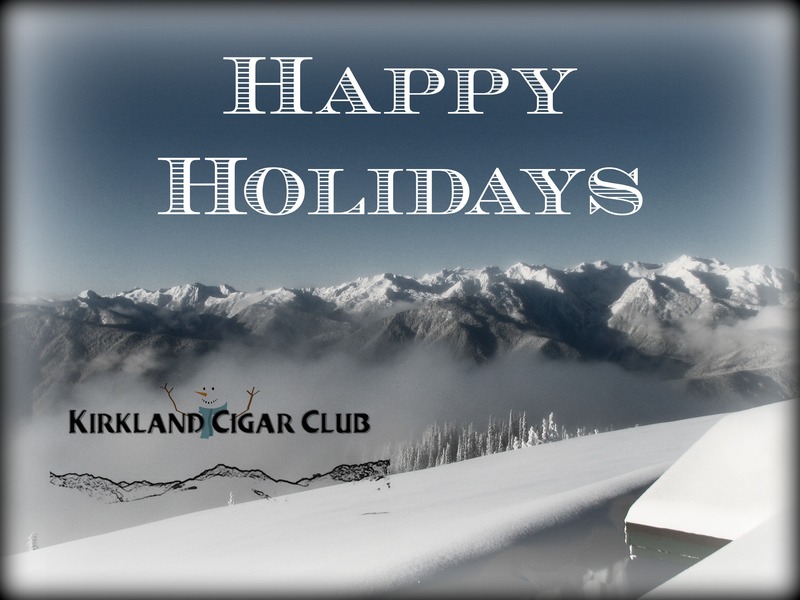 There's still time to pick up some great cigar-related gifts! - Diamond Crown Holiday Collection $55 - This great set includes three Diamond Crown cigars, including the previously unreleased Cameroon Select, packaged in a beautiful zip up leather case. - Alec Bradley Tubo Collection $55 - Five different Alec Bradley blends, all in Tubos, along with a three torch Alec Bradley lighter. 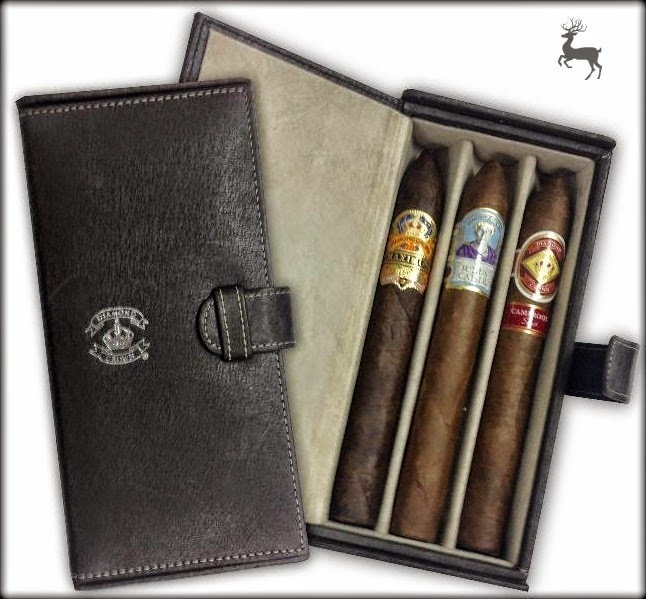 - General Cigar Samplers $25-$60 - Five different samplers, all in wooden gift boxes, perfect stocking stuffers! - Xikar Gift Sets - Save up to 40% off the retail price of each item sold separately! We have a $70 lighter, cutter and ashtray set and a $130 Xi3 Carbon Fiber cutter and lighter set. - Partagas 150 Don Ramon or Cohiba Luxury edition - This is the perfect time to get your loved one (or yourself) a rare cigar that you wouldn't otherwise splurge on. Our Partagas 150 ($150) were rolled back in 1995 with a vintage wrapper from 1977 and have been waiting patiently for almost 20 years for you to enjoy! The Cohiba Luxury ($40) is a special cigar aged in rum barrels and limited to only 500 boxes. Snowed an inch or two on Saturday morning, covered just about everything, except the roads. 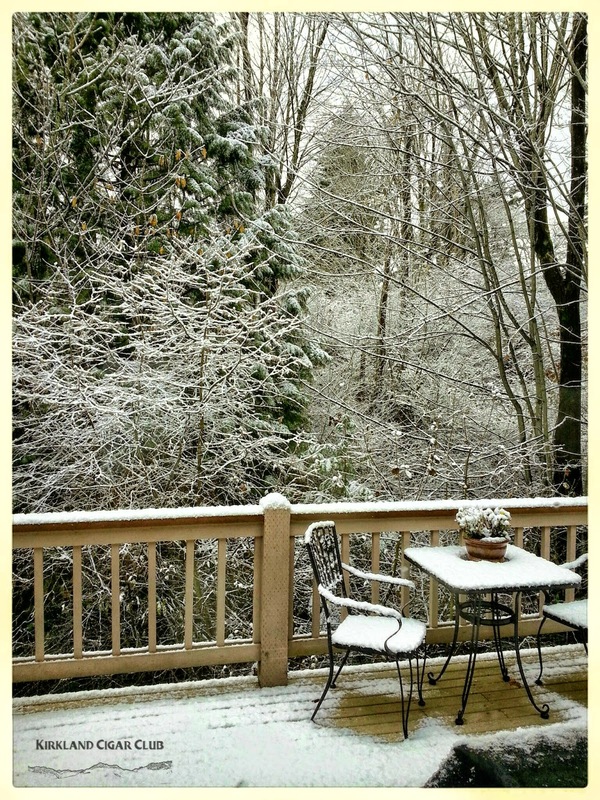 Very pretty outside! Anyway, I've got a couple cigars that you might want to try, and one to avoid. Smoked this one on Friday night out on our back deck, freezing cold outside by the way, but my cheapo patio heater is proving to be worth its weight in gold. So how did it smoke? Fantastic, of course. Smooth and flavorful, not overly powerful in any way. Draw and volume of smoke were right on the money. I asked my lovely wife what she thought of it, and she replied "it's a keeper" as well. Time to invest in a few more of these - They're that good! I was up at the Snoqualmie Casino on Saturday night. I started out at the craps tables, but quickly lost what I'd set out to spend. Kind of weird too because I usually win at craps. Anyway, I decided to try my luck at one more thing before heading over to the Lit Lounge - Video Poker at the bar. Glad I did too - can you say: "Winner!" So what did I think? In my opinion, probably one of the best cigars that I've smoked this year! I told Josh that he knows my taste all too well, because he picked a cigar that is exactly what I am looking for. Absolutely perfect smoke! I might add that this is a limited edition, so don't dilly-dally, get out and try one now before they're all gone! I'll start out by saying that I'm a fan of the CAO Flathead series - they're great cigars! But in my opinion, the Spark Plug doesn't do it at all for me - maybe too strong, too harsh, or maybe it's just a nasty cigar overall. I don't know, I just couldn't warm up to it. I've tried these a few times now and every time they've all turn out to be the same - UGH! Don't like em at all! Yes, you might want to avoid this one. However, if you like a high-test, ultra strong, kinda nasty cigar, this might be right up your alley. Who knows?